After a prolonged absence, Jennifer Leonhardt (you may remember her from the Pattycakes, an acclaimed band from the early aughts) has returned to her art with a truly moving album. 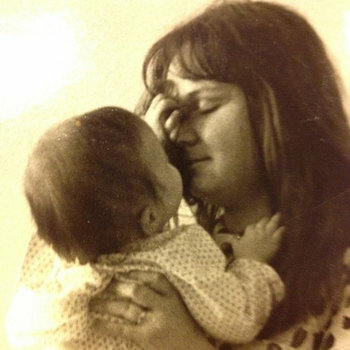 Songs My Mother Sang is a tribute to her late mother. Knowing nothing about Leonhardt's previous work, I can say that from her interpretations of the traditional songs featured here that she is an honest musician with a rare depth to her singing. I suspect that these were the songs Leonhardt were raised on. It's easy to hear her attachment to them, at least. And after a long day, who doesn't need someone to sing them gently to sleep? This is EXQUISITE music!Thank you for sharing Jennifer Leonhartd's spirit stirring, soulfull sound and beautifully compiled pieces here for all of us to hear!The musical instruments and voices are a revival experience! A mission of mine will be to share this everywhere!